Established over 20 years ago, Tucker Industries manufactures effective personal protective equipment that has been designed especially for the commercial foodservice industry. Tucker recognizes that sanitation is an important safety concern in the food service business and has ensured that their products can be washed, sanitized, and reused repeatedly. 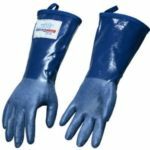 This glove from Tucker is a 14 inch length and a medium size that provides excellent protection from wet applications where the heat is not higher than 225°F. 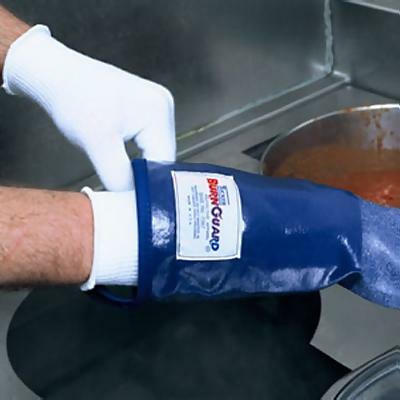 These gloves are made with SteamGuard barrier material and is able to withstand oven range temperatures and hot oil without melting. 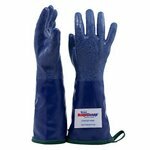 The gloves are designed to offer excellent dexterity, with a rough finish texture that delivers a great grip in oily and wet applications. The SteamGlove also provides an interlock liner that offers added comfort and liner protection. 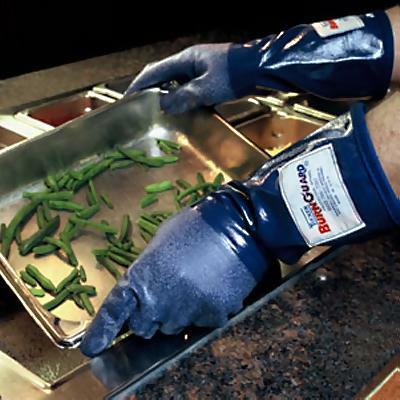 The SteamGlove is crafted from ingredients that are in compliance with FDA's 21 CFR, parts 170 to 199, which means that it is perfect for food handling and preparation. For Temperatures Not To Exceed 400 Degrees F.
Note: The Degree Of Heat Resistance A Glove/Mitt May Offer Is Directly Related To The Duration Of Exposure And Weight Of The Object Being Handled.